Kroger’s first online shopping service launched for customer use this year for shoppers at the Tom Hill Blvd. and Hartley Bridge Road stores. 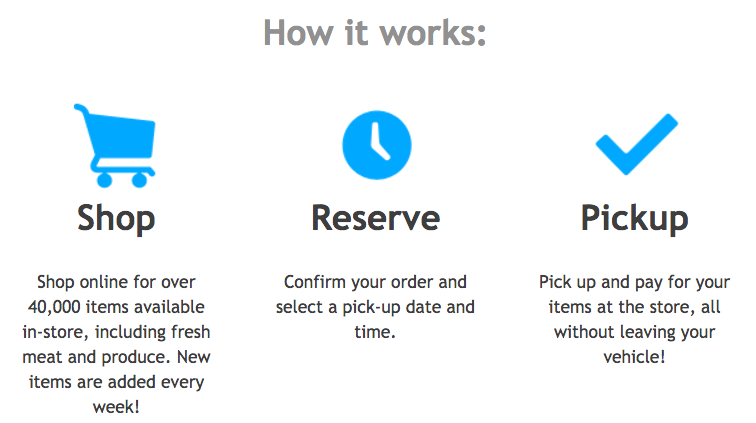 With ClickList, you can shop online and pick up your order at the store—at a time that’s convenient for you. You can even order using your Favorites—the items you buy most often—so shopping is even easier! After you place your order, a friendly Associates will choose your items with care. When you pull up at your reserved pickup time, your order will be loaded at curbside into your car. Simply use your credit or debit card along with your Kroger Plus Card, and you’ll be on your way—with grocery shopping checked off your list! Surprisingly, you can save money through Kroger's online shopping. For example, Coke bottled products in the store are $4.99 for a 6-pack, but when you use Kroger's Click List you will save $2.49. The Kroger Click List experience is very convenient for those with busy schedules. It allows you the freedom of shopping from your computer or smartphone; which is the main draw of this service. You won't spend time wandering the grocery store aisles or fighting for a parking spot in a crowded lot. After you complete your Kroger Click List, just select a convenient time slot to pick up your groceries. Kroger does add a $4.95 fee to your subtotal for this service. However, keep in mind that some grocery items are not available on Kroger's Click List. Items such as fruit, lettuce and some dry boxed goods currently are unavailable for purchase on Click List; but Kroger is actively seeking feedback from customers on improvements they can make to the system as usage increases.